When London is calling, you go. Whether it’s for a quick three day stop on your Eurotrip or a month long extravagant vacay, you just go. London is a huge metropolitan city with a variety of things to do, history to learn, and majestic landmarks to see. 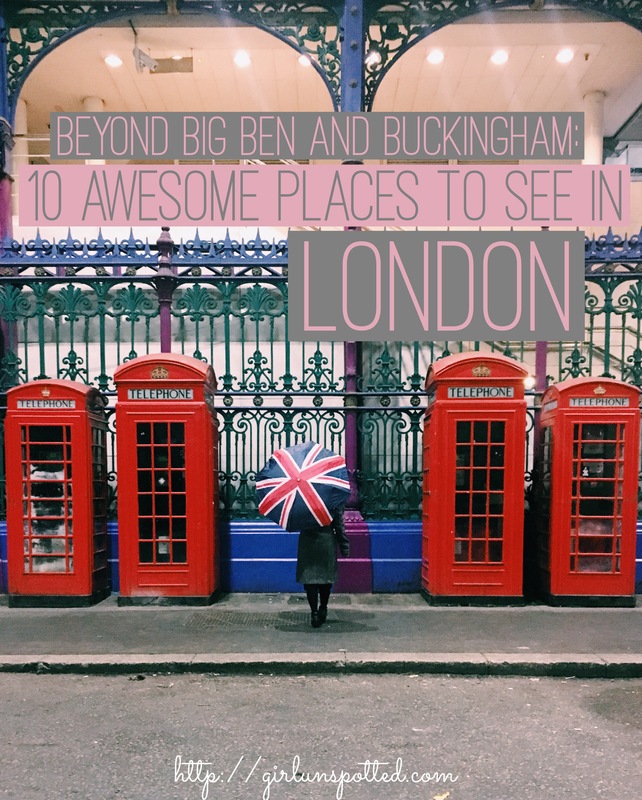 Don’t go on a layover and see Big Ben and the Buckingham Palace and say you’ve BEEN to London because that is not where the true experience lies. London is BIG that it’s almost obnoxious how massive it is. But I love it to the fullest. It’s constantly evolving and once you get past the typical tourist route, you’re in for a bigger experience. 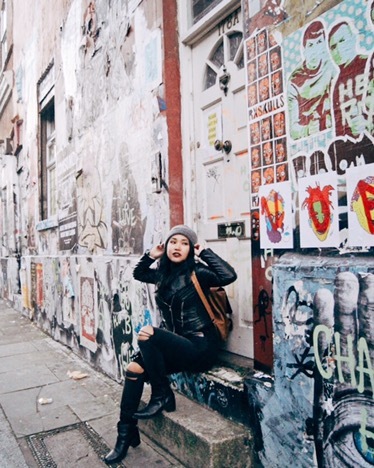 London’s hipsterville is home to awesome street art, giving it a bit of grungy, edgy vibe. 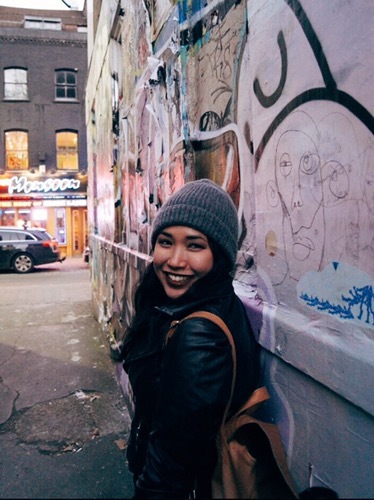 Strolling the streets and catching graffiti artists right in the midst of their creative flow will immerse you in the street culture. 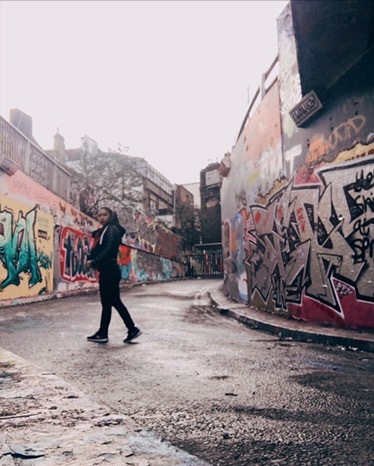 To get a better exposure to Shoreditch’s best, there are free Shoreditch street art tours that you can sign up for. 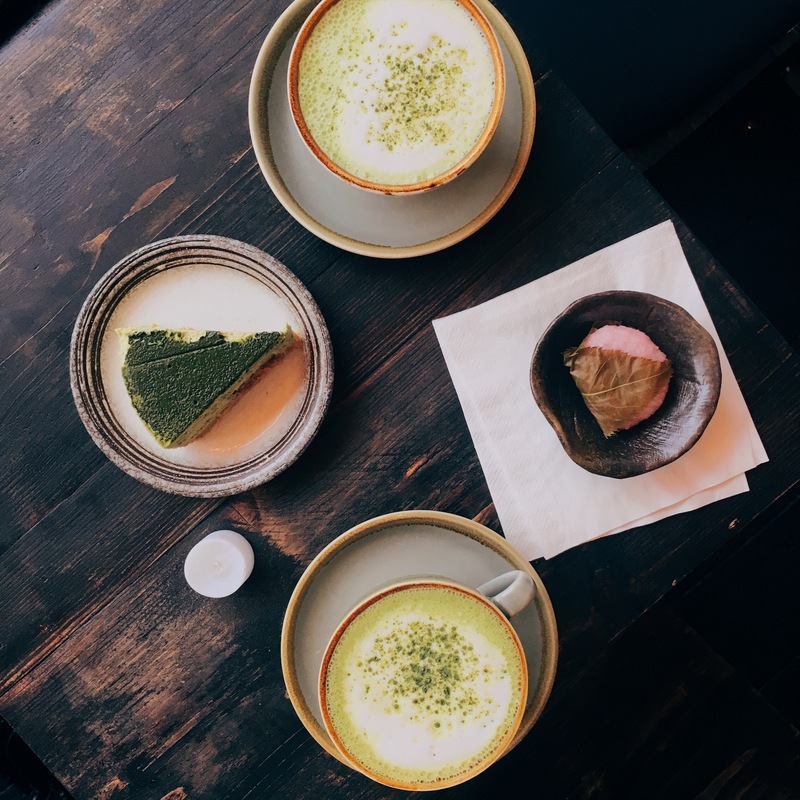 Shoreditch is also known for their hip bars and cafes. It’s one of those places where locals would be like “it used to be cool until everyone found out about it”. But as a tourist and a wannabe Londoner, it’s still pretty damn cool. 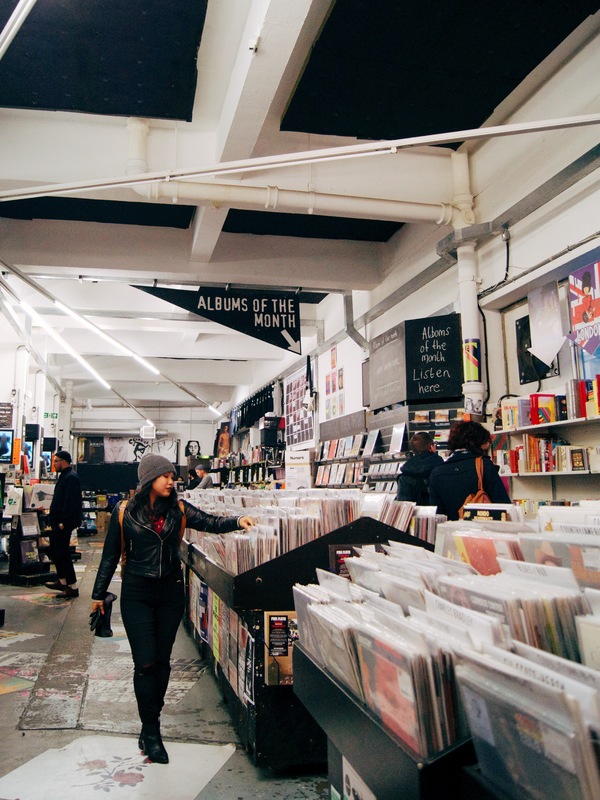 You’ll also find lots of vintage shops where you can score some pretty cool pieces– may it be a nice retro jacket or a very rare record. 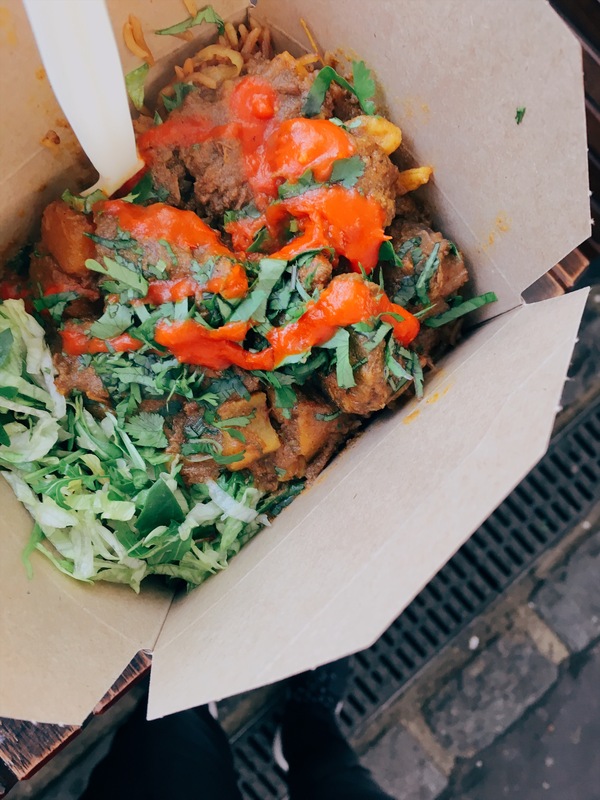 Down at Brick Lane, you’ll find an array of Indian restaurants that serves the finest curries in London Town. Quite frankly, you simple can’t experience modern day London without having some authentic “British” curry. 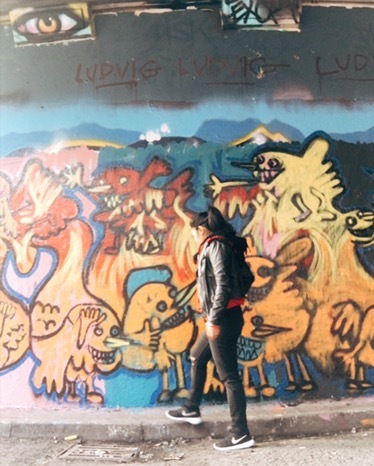 If you didn’t have enough of graffiti from Shoreditch yet, head on over to Leake Street Tunnel. It’s also called Banksy Tunnel because apparently, he started the graffiti movement in this tunnel, which then allowed graffiti artist to turn this into their creative space. The whole tunnel, all corners of it, ceiling included, is filled with beautiful and colorful murals. Some of them doesn’t last long enough, being quickly replaced by newer art work. They come and go, but you can expect them to be as good as the next. It sure is one of the popular things to do for tourists, but it doesn’t make it any less cooler. British Library is possibly one of my favorite places in London. I’m a bit of a literature geek so you can imagine my excitement when I heard about their exhibit housing original artifacts of well known literature Gods. From Shakespeare, to Austen, to Brontè, to Oscar Wilde! Mozart to Beethoven to The Beatles! Ancient sacred documents, the Magna Carta! 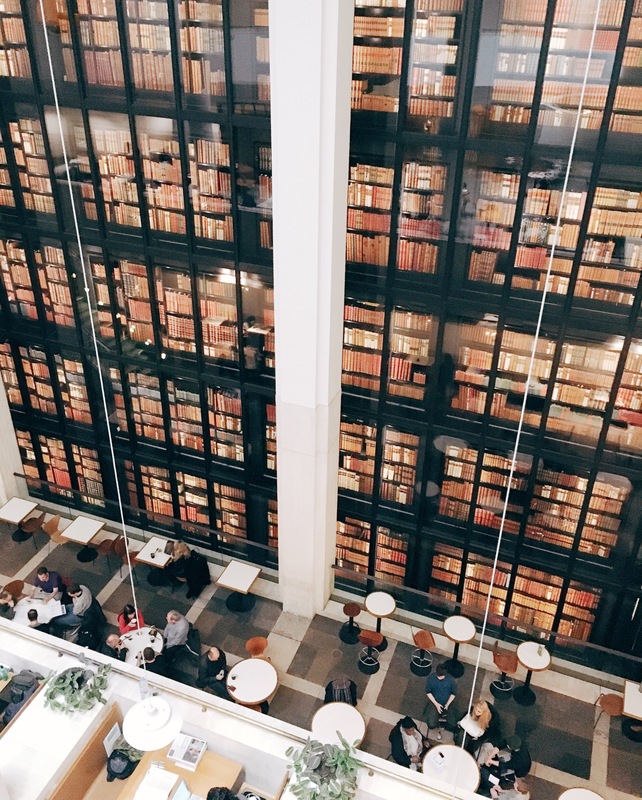 British Library is also known to be the second largest library in the world in terms of catalogued items and their unique display of books is quite a sight to behold. It’s pretty much the equivalent of Disneyland to bookworms. I’ve never been to a city with so many museums and then London happened. The best part is that many of them, including all the major ones, have free admissions. When you’re in a city as expensive as London, anything free isn’t something you pass up on. 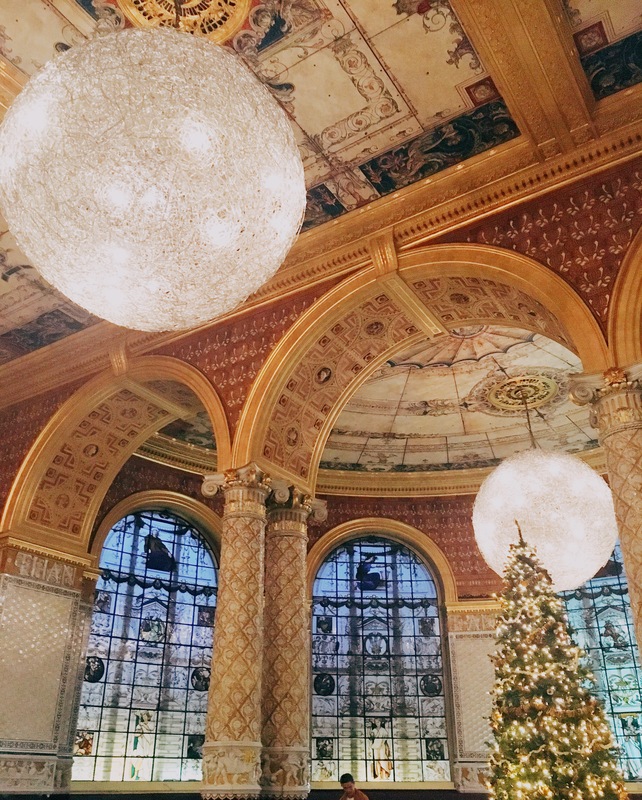 I’ve visited quite a few museums in London and my favorite remains to be Victoria and Albert Museum. It houses beautiful collection of arts and artifacts from all over the globe, exhibited in such elegance and beauty. They also have a fashion section showcasing fashion throughout the decades. When I went in January, they had an exhibit on lingeries and I very much loved that. TIP: There’s also a beautiful tea house by the garden to end your day. 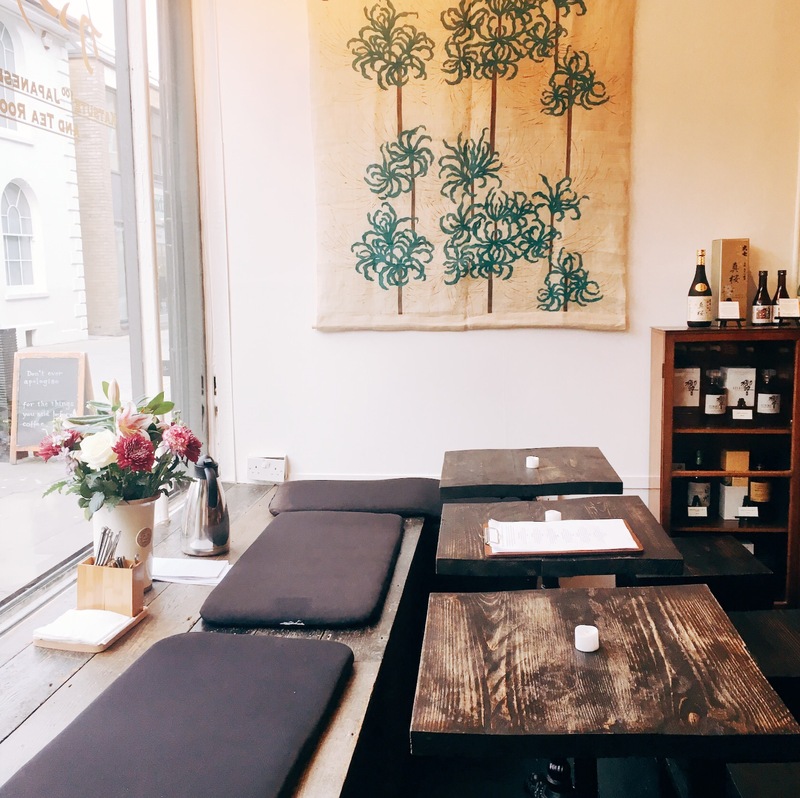 I stayed in Angel during my two months in London so I had the chance to get to know the area quite well. Turns out, this area is just as interesting and a tad bit magical like its name. Camden Passage is a little back street alley filled with cute little boutique shops and cafes. It’s like leaving busy modern day London and entering a warp zone to a quaint English village. There’s an antique market on Wednesdays where they sell every beautiful vintage things you can imagine– from antique silverwares, tea sets, compass, watches, to vintage postcards and maps. Even if you can’t afford to buy a trinket or two, it’s pretty cool just skimming through the items. Now that’s my kind of window shopping. Thursdays are even better because that’s book market day! 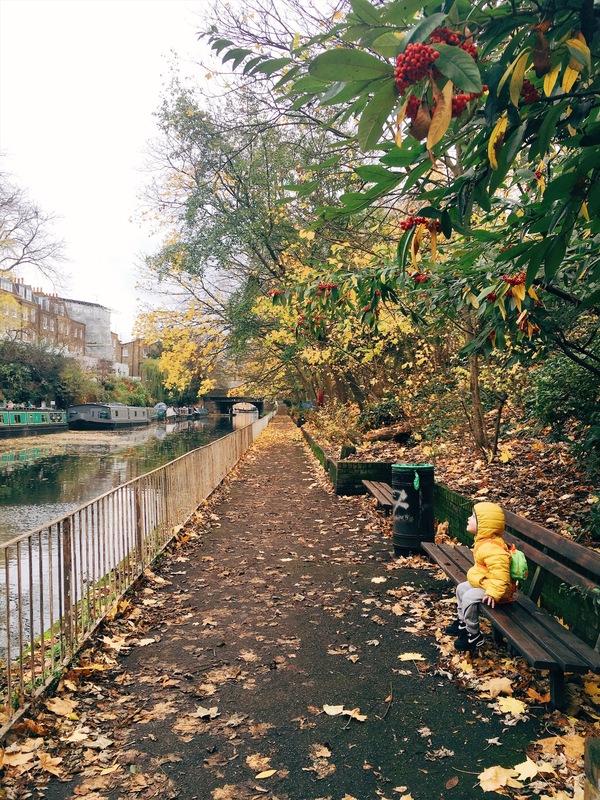 Just down the block from Camden’s Passage is Regent’s Canal. Sure, London is filled with beautiful, elegant parks. But a leisurely walk along London’s scenic Little Venice is quite a lovely one, especially on a good day. Surrounded with affluent homes and moored boats actually serving as residency to their owners, this picturesque hidden gem makes a great spot for photo ops and people watching. I came down here a lot to take my little cousins to feed the ducks, and for some strange reason, the sun seems to come out whenever I do. “Speaking words of wisdom, let it be.” Need I say more? 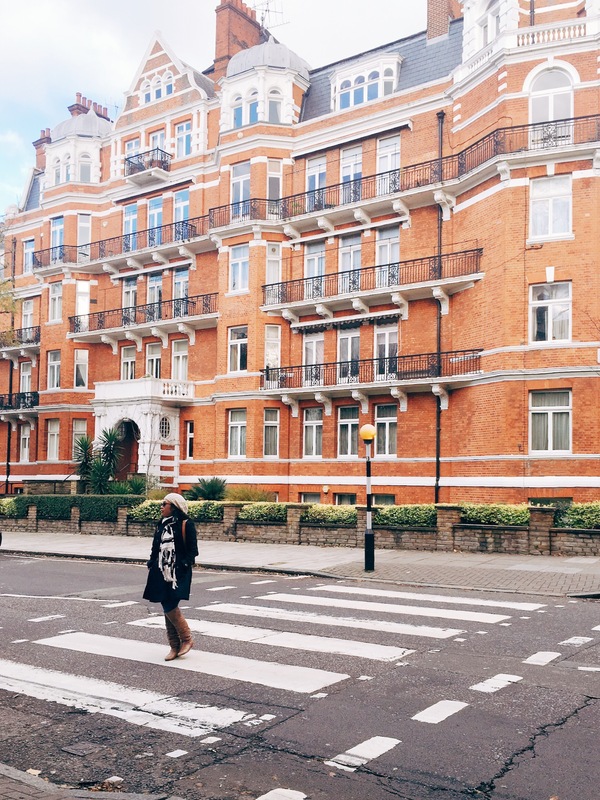 Whether you’re a Beatles fan or not, Abbey Road is an iconic spot that’s definitely worth a visit. Abbey Road Studios is also open for tours and a great place to learn more about The Beatles. 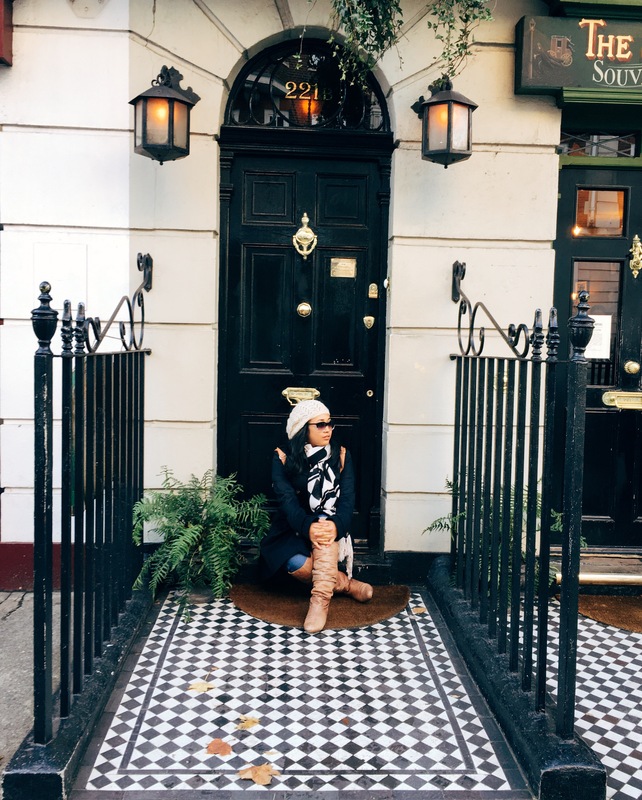 Not too far from it is the Sherlock Holmes Museum, so that’s two iconic places for ya! 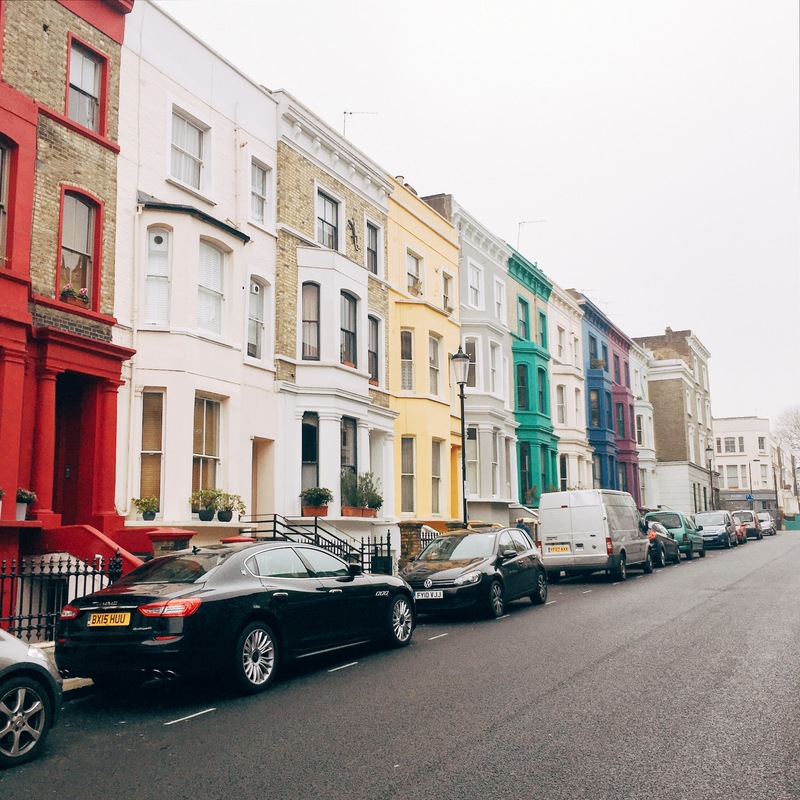 Clearly, it’s not an offbeat London find, thanks to Julia Roberts and Hugh Grant, but Notting Hill still deserves a spot here because of its lovely, colorful neighborhoods. 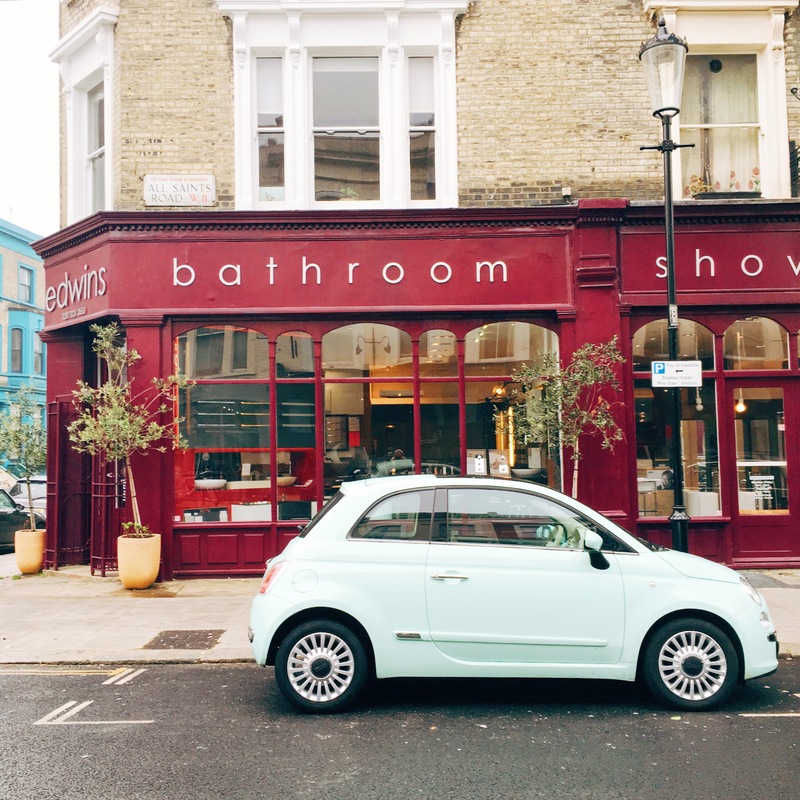 If you’re all about pastel colored houses, pretty little trinkets sold on the streets, instagrammable corners, and a good ole’ Londoner neighborhood experience, Notting Hill will be perfect for you. The great thing about this little tourist hot spot is that there will always be plenty of corners that are free of tourists, with the exception of Portobello market, of course. But whether it is or it isn’t, if you’re a fan of anything pretty at all, you’re bound to have a wonderful stroll here. And no, it’s not that awkward walking into random people’s houses for a picture. They’re used to it. 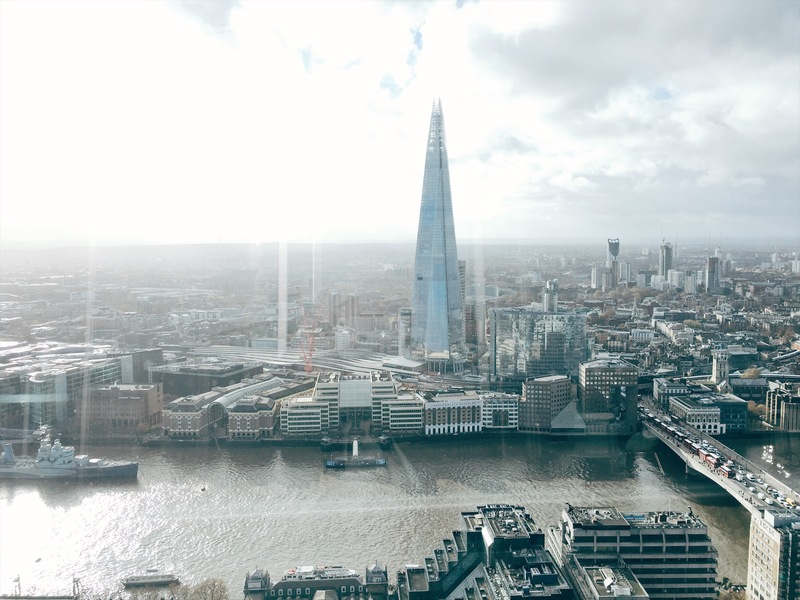 Twenty quid to get on top of the Shard is a splurge, and though I’m sure the view will be worth it, so is the view at Sky Garden– where it’s actually FREE. 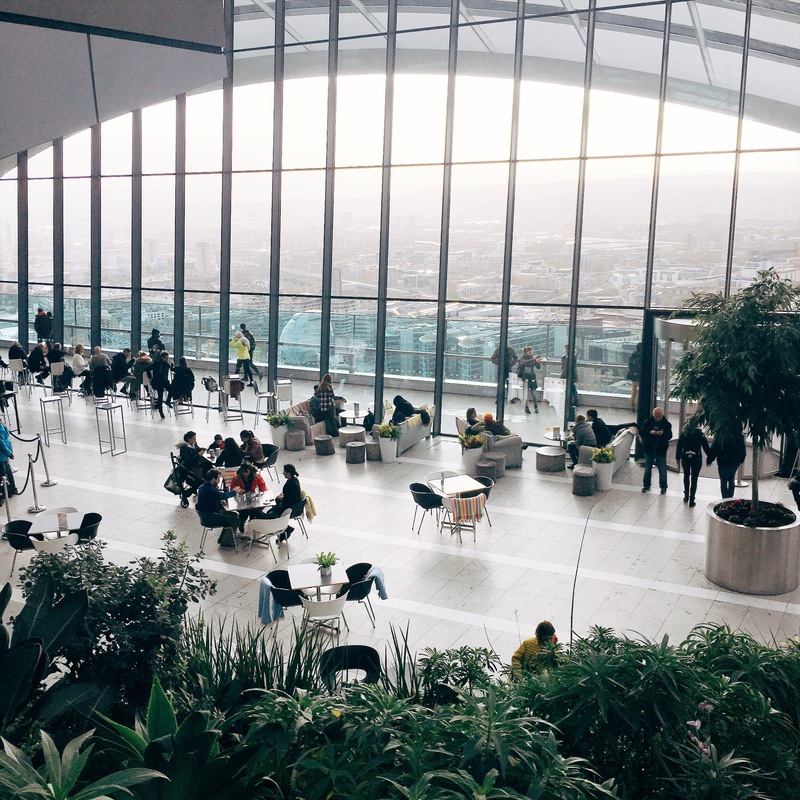 Located at the Walkie Talkie building (named after its shape), a trip to Sky Garden on the 33rd floor will offer you a breathtaking panoramic view of London Town. Right below you would be the Thames River and the iconic Tower Bridge. It’s a gorgeous observatory, characterized by its garden style ambiance. It gets pretty booked because they maintain a quota of people allowed up there so you’d want to book in advance online. Sure, it’s another popular stop for tourists, but how could it not be?! Even locals STILL love Borough Market despite its radar for tourists and they love it for a reason. It’s the biggest food market, and clearly the most popular one, and with the variety of food you’ll find here, you better be making room in your stomach prior to. They’ve got everything from desserts, artisan coffees, sandwiches, curry, paella, gyros, Thai food, down to Caribbean delicacies. If you come during the weekend, expect it to be extremely crowded. But keep in mind that weekdays seems to have a minimal variety than the weekends though. Great alternatives to the usual tourist trail, I hope you enjoyed it! So glad you loved London! I’ve lived here my whole life but I still haven’t been to some of these places. Such a bad Londoner! These are great tips! I’d love to visit London soon so will definitely be saving these, especially the vintage shopping! Also so glad you got a pic at Abbey Road! 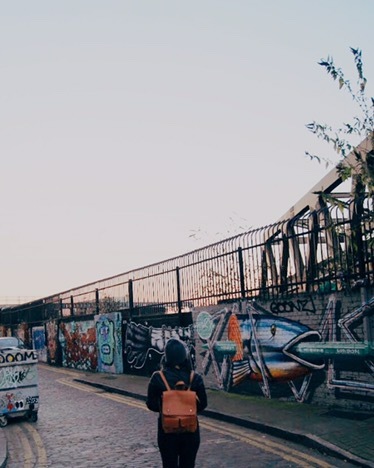 London is so freakin’ cool and the places you’ve mentioned are great to explore. Thanks for another great blog post!